Barkston Ash Catholic Primary School have qualified for the English Schools FA Cup national finals! 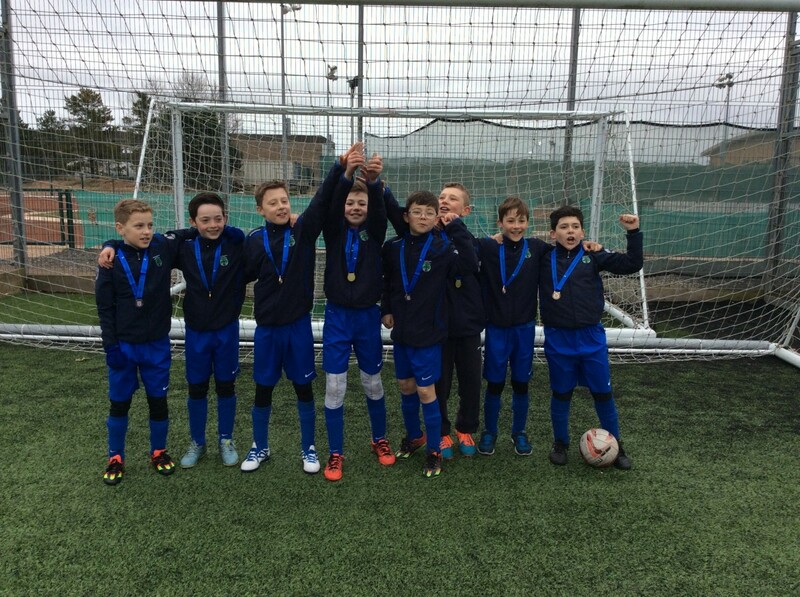 After winning both the Selby District and North Yorkshire tournaments earlier in the year, they represented North Yorkshire in the North of England finals at Cramlington learning village in Northumberland last weekend. During the tournament they took part in matches against the winners of Cleveland, Cumbria, Northumberland, Cheshire and Cumbria. Barkston Ash drew their opening match 0-0 with Newcastle academy for boys but followed this up with a 3-0 victory over St Joseph’s Murton (Durham county winners) and a 1-0 victory over North Walney (Cumbria county winners), before a 1-0 defeat against Delamere (Cheshire county winners). Barkston Ash went goal crazy to become national FA Cup finalists. With the top two teams going through to the national finals, it all came down to the final match against Caldicotes (Cleveland county winners). With goal difference being crucial, Barkston went goal crazy and ran out 8-1 winners to qualify for the national finals! Headteacher Mr Power said “The boys were absolutely brilliant and thoroughly deserve their place in the national finals. Every member of the team gave everything they could in each match and showed high standards of behaviour and sportsmanship throughout. They played fantastic football and everyone at Barkston Ash is incredibly proud of them”. Boys’ Football Captain Oli Stables was delighted and said, “I am very privileged to be captain of a school football team that are going to the national finals. Every player gave it their all and we’re really excited to have the opportunity to play at a Premiership stadium”. The national finals are scheduled for June and are to be played at the King Power stadium, home of potential Premiership Champions Leicester City.